For this layout I was inspired by the Scrap Our Stash Challenge. Fabulous layout. Love the details, cute pics and stash used. 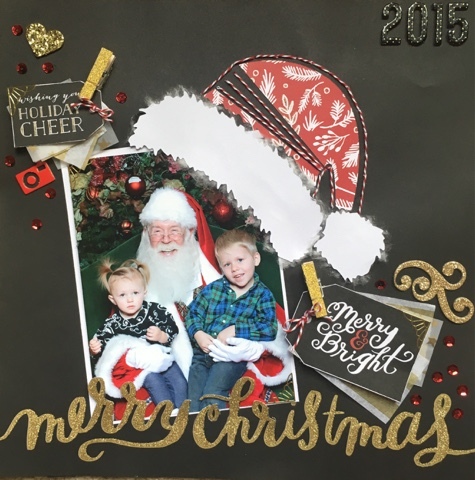 Thanks so much for your entry in our challenge at Scrap Our Stash. This is a fabulous Christmas page! I love how you did the santa hat. Thanks for joining us at Scrap Our Stash! 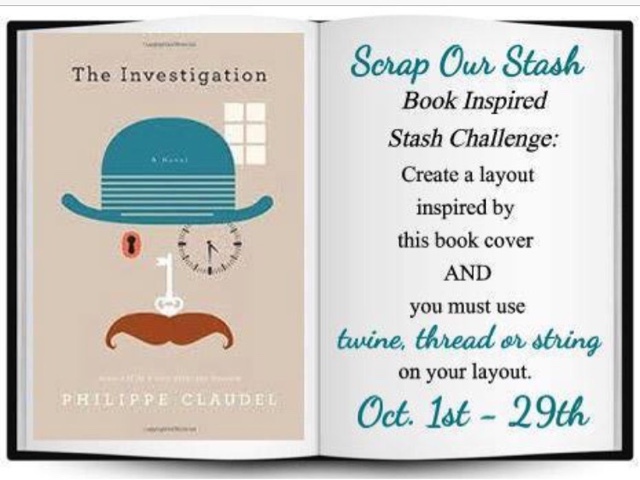 Love what you took as your inspiration from the Book Cover, great idea!Super cute photo too :) Thanks for taking the challenge at Scrap Our Stash! Awesome! Love the Santa'/ hat! Thanks for playing along with us at Scrap Our Stash! What a cool Christmas page! Awesome job with the inspiration and the twine! Thank you so much for playing along at Scrap Our Stash! 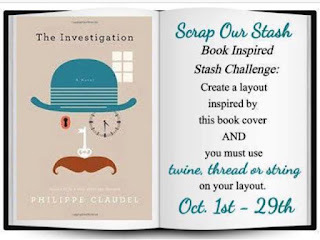 Love the unique use of twine---great idea and fabulous take on the challenge! Thanks so much for playing along at SOS!! OMG! That hat! SO awesome! Thanks for playing along with us over at Scrap Our Stash!